« The Price is Right Live! 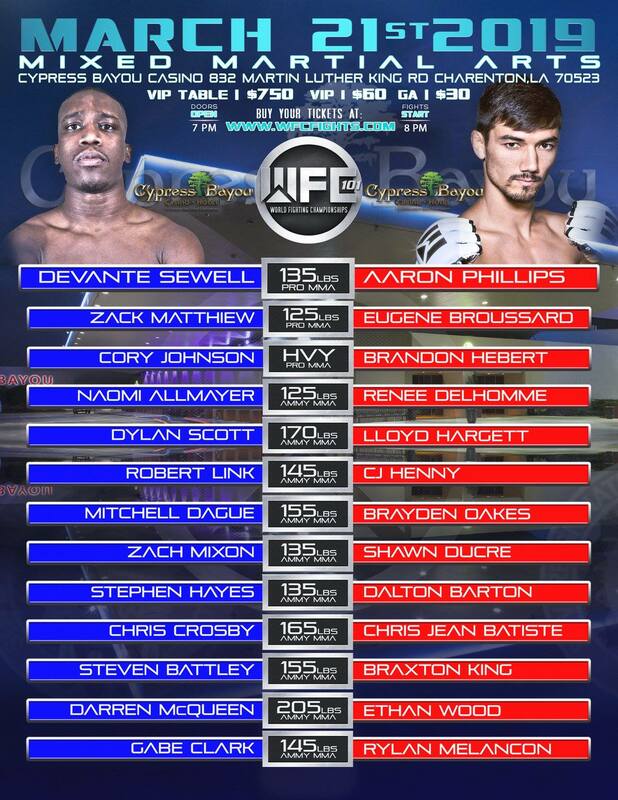 Charenton, La – Cypress Bayou Casino Hotel will host World Fighting Championship 101 tonight! Doors open at 6 p.m. and first fight bell rings at 7 p.m. Tickets start at $30 for general admission and are available for purchase at Ticketmaster.com or day of fight in Bizzute’s Gift Shop. The fight card is stacked with some of the best fighters from the south.